Victim Support is an independent charity offering free, confidential support to people of all ages affected by crime. Our service is free and confidential and is delivered by our highly trained team including specialist caseworkers. We have built up good working relationships with a huge network of partner organisations to ensure we can also access any help that may be required outside our own expertise. If appropriate we can work with the parents, carers, teachers, support workers and interpreters to ensure support is available to everyone regardless of any perceived disadvantages or personal difficulties. Click Here for an Agency Refferal Form. The Tesco Centenary Grants round is now open for not-for-profit groups to apply for the full £25,000 grant to deliver any health and wellbeing project across an entire funding region. Groups are encouraged to collaborate with partners in order to fulfil the requirement that projects are delivered across the whole region, covering Bristol, Somerset, North Somerset and Wiltshire. Tesco colleagues will be involved with shortlisting three applications in each region, to be selected for instore voting throughout July & August 2019, in every Tesco store within that region. Tesco customers will be given the opportunity to vote for their favourite project, with the group receiving the most votes getting the first place prize of £25,000, second place £15,000 and third place £10,000. There will be a further Centenary Grants voting round in November & December 2019. Groups who have applied for the Tesco Bags of Help £4,000 community grant scheme will be considered for one of the instore voting rounds outside of the Centenary Grants rounds. Groups can apply to both grant programmes simultaneously. 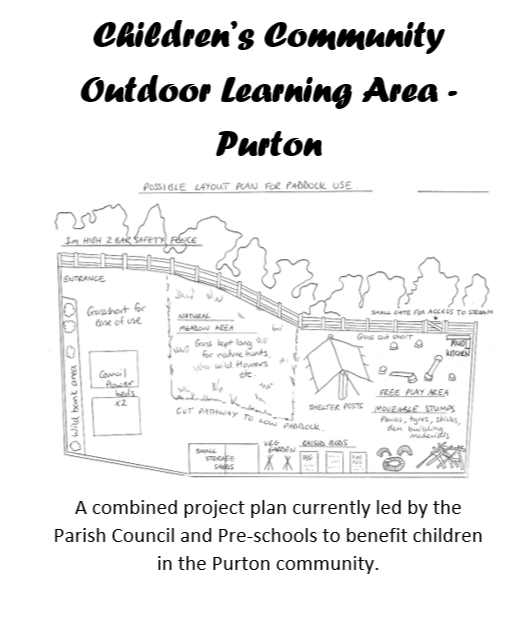 A combined draft project plan currently led by the Parish Council and Pre-schools to benefit children in the Purton community. 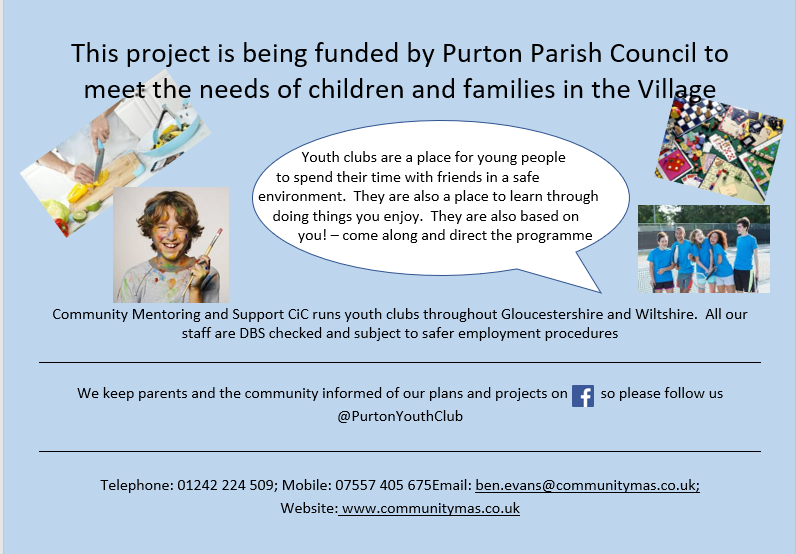 This project is in its infancy but is being driven to provide an additional resource to the community groups within Purton. More information will follow once we are ready to "go live". 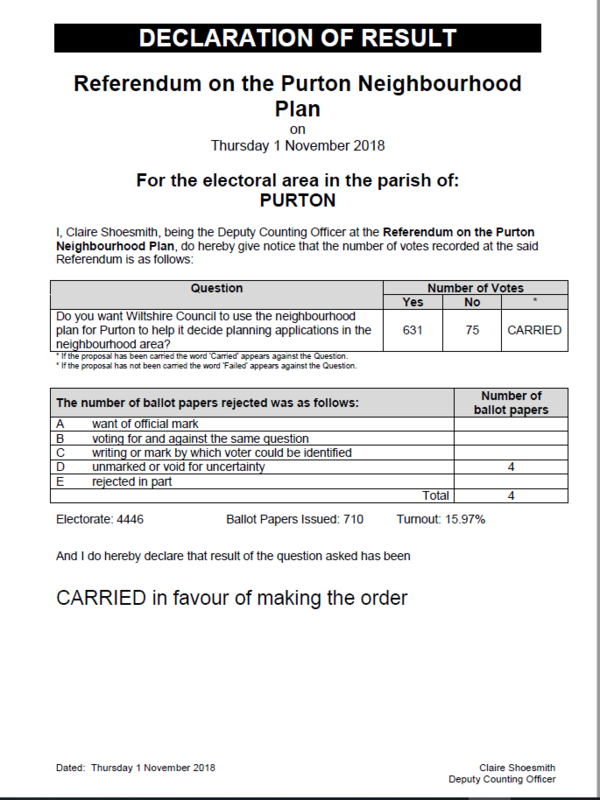 Purton Parish Council are proud to announce it has been approved and awarded the Local Councils Award Scheme -Foundation for its procedural practices. 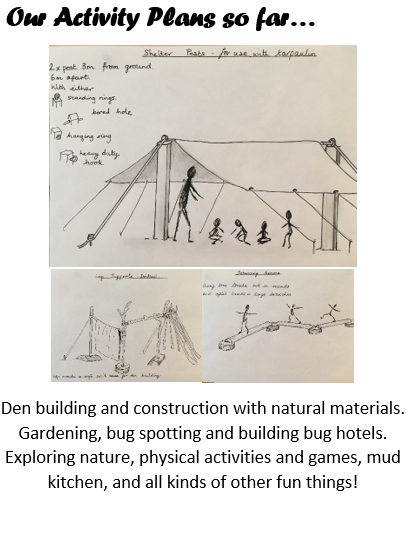 The panel found the application to be impressive and felt it showed the Parish Council to be well organised and an excellent communicator in the community. The panel noted the ‘Have your say’ section of the website which shows that the Parish Council encourages two-way communication. As well as the up to date, vibrant Facebook and Twitter feeds and monthly newsletter packed with information. The extensive training record was also cited along with the thorough risk assessment scheme. The panel also mentioned the positive impacts of the Dementia Friendly Community work as well as the Neighbourhood Plan being approved at Referendum. Please suport this event, show that Purton Cares and make a difference. HAVE YOU HAD ANY GHOSTLY GOINGS ON IN YOUR HOME? 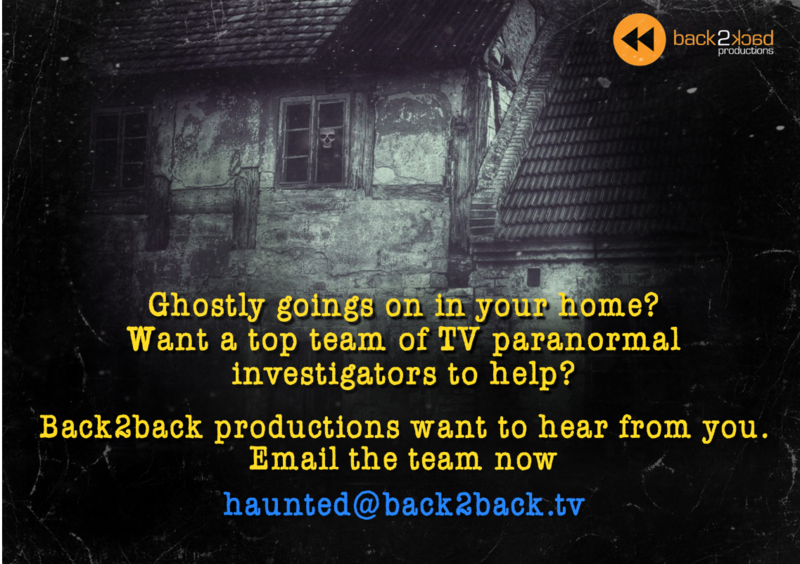 Would you like a top team of paranormal investigators to help? 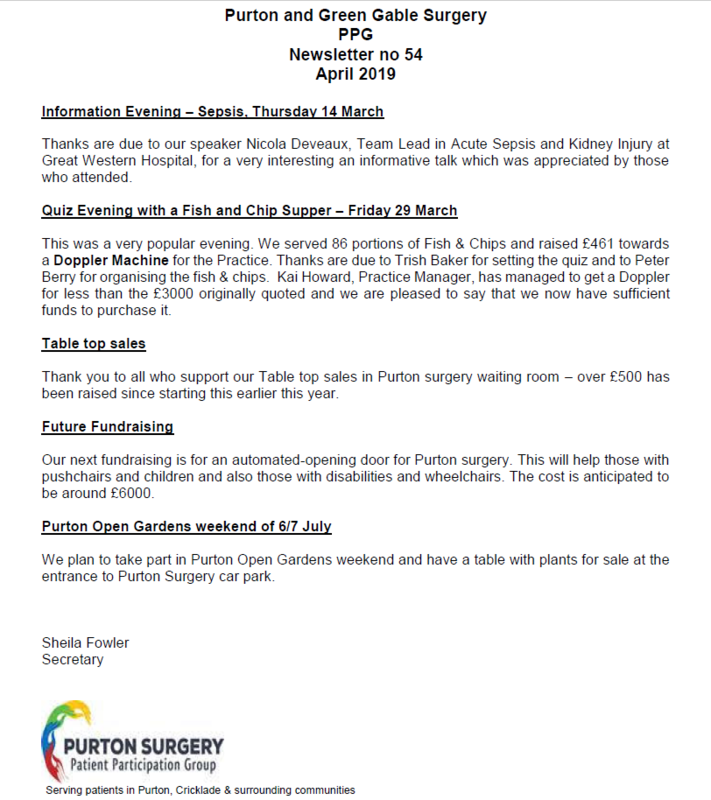 April's edition of The Purton Magazine is now available to buy for 50p from The Parish Council Office. The Office opening hours are 9am until 5pm Monday to Thursday, 9am until 4pm Friday. The Parish Council have set the precept for 2019/20 at £299,416.55 which equates to a 10% increase on last years figures. The Council has considered several large projects within the Parish and deemed them important for the future sustainability of the services to this village and therefore have budgeted to commence during 2019/20. The Council appreciates this is a substantial increase however, reduced increases over the last 10 years, of 2% and less, have reduced the availability of funds and reserves to the Council and we are now in a position whereby in order to achieve the works required the increase this year will be made. It is anticipated that this will be the only increase of this level for the following years, however this is all dependant on the needs of the parish. All Town and Parish Councils must consider funding their future projects through Precept as funding from other sources is limited and restricted to priority classification and shared between 13 parishes which includes Bradon, Broad Town, Clyffe Pypard, Cricklade, Latton, Lydiard Millicent, Lydiard Tregoze, Lyneham and Bradon Stoke. Below is a list of the main Projects the Council are undertaking, however this list isn’t exhaustive as the Council are continuing the management, repair and enhancement of all their play parks along with the Cemetery and the newly acquired and anticipated future Burial land on Church End. When the Parish Council determines its projects and the cost, they take into consideration the current facilities available, the impact of change to the community and the sustainability of these projects going forward. As many residents will be aware, a review of the current status and viability of the Purton Institute and Village Hall Charity is currently being undertaken.The Parish Council pays rent for the office space within this building.The Institute building and Village Hall both requires extensive maintenance repair work and the offices are currently too small for the councils expanding needs, are not DDA compliant for visitors and with potential devolution of more services from the Unitary Council, the Parish Council have taken the decision to source alternative accommodation. The land currently owned by the Parish Council in Reids Piece (known as the former youth club) is being considered for redevelopment into office and grounds work space (the Council also pays rent for workshop space at the Village Centre). The Council will seek a loan for the build of the project, which will equate to a similar yearly rental cost currently paid for two buildings, however, a contingency and internal furnishing budget has been set within the 2019/20 precept of £60,000. The area known as Venture Play Park, Dogridge will also be undergoing a revamp with a proposed budget of £60,000 being set aside.This is the last of the three play parks that require refurbishment at this stage and the investment would give equal standards of high spec equipment throughout the village for all to use.We are also looking to secure this space as a Parish Council asset rather than under Wiltshire Council ownership. The Parish Council are funding a large proportion of the costs required for three main highways projects within Purton which includes Station/Widham Road traffic calming/lineage scheme, Crosslanes Junction, temporary road closure and the Triangle, Station Road to aid the transition of lorries coming into the village and supplying the Co-op shop with goods. The Council are also looking at a new road crossing for safer child transition to schools along Church Street, bus lane marking to stop cars parking by the existing road crossing on the High Street, plus smaller lineage schemes.All of these works plus the minor amendments already in the budget will add considerably to the fund requirements for the next financial year (approximately £20,000).We may be able to carry out more works than planned if future development is carried out within Purton and we benefit from the Community Infrastructure Level (CIL) which will be due to the Parish on part completion. Due to anti social behaviour the Council have precepted for the installation of a CCTV system at the Village Hall. This scheme will only go ahead if the Charity Review deems the building sustainable, however we have budgeted for this in 2019/20 (£2500). The Council have agreed, due to the positive impact of the youth club services being offered at the Village Hall, to continue for another year.This cost is met solely through precept as we are not eligible for grant funding for this service.This service is for the payment of the youth workers and also the hire of the Village Hall from the charity to hold the activities (£7,750). The Clock Tower which is housed within the Institute Charity building but managed and maintenance by the Parish Council, has been manually wound since its creation, however, due to changing legislation, health and safety concerns over accessibility it has been agreed to mechanicalize the system. This project has been budgeted for however, no works will commence until after the review of the Purton Institute and Village Hall Charity being carried out. 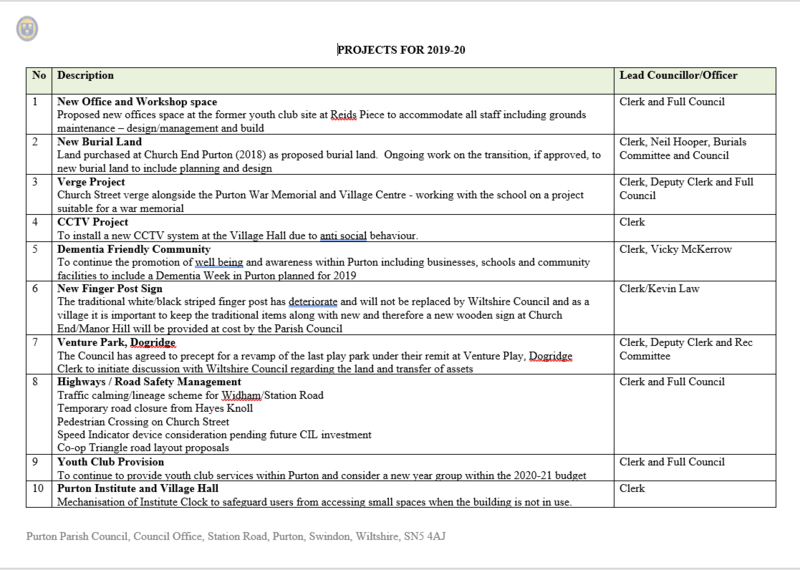 The Parish Council have also budgeted for smaller projects which will include, a new Finger Post Sign on Church End, continuation of the project of “Making Purton Dementia Friendly”, training and support for all staff and councillors alike, memorial tribute and verge enhancements at Church Street to name but a few, plus the continued maintenance and repair of all areas under our remit. The Parish Council holds regular Committee meetings and residents are able to attend and ask questions during Public Recess. The meeting schedule is available on our website, agendas are posted on our website and also Parish noticeboards. We also hold a regular Councillor Surgery session, the next being Saturday 9th February 2019 at 10am at the PIPS Community Café on Station Road. The Council Offices are also open Monday to Thursday 9-5pm and Friday 9-4pm should anyone wish to speak to the Clerk on any matter under our remit. Please do not hesitate to contact our offices should you require more information. A huge thank you to the parents/carers who have changed their parking to the safer designated spaces to take the children into school. We have seen a significant increase in the usage of these areas and this shows great commitment from those who wish to keep not only theirs but all children safe. Thank you. The schools have given their full support and communicated to all asking consideration to be given to making the area safer and using the alternative parking spaces. This will be an ongoing action to encourage all drivers to consider the safety of those accessing the schools. It was agreed to work together during the National Road Safety week commence on Monday 19th November carrying out high viz presence checks at the school entrance. Children will be also be given clear road safety guidance on how to stay safe when entering and leaving the schools which will also include how they travel to and from school. The joint working group will continue to work on innovative ways to educate those who do not understand why their actions are risking the safety of others, via video, photographs and their child’s perception. The working party will also be working with Greensquare looking at options for ceasing parking on the pavements and grassed verges along the Peak and associated areas. The Parish Council is progressing through the Community Area Transport Group (CATG) a request to look at installing a crossing on Church Street to aid the transition from one of the preferred safe parking places to the footpath that leads to the schools. Please consider your actions as parents/carers when taking children to school. Keep our children safe. An “invite” only meeting was held on Monday 16th July 2018 with a defined group of people as detailed above to work on issues relating to the safety and traffic at both schools around the College Road/Reids Piece and The Peak areas. The meeting was well attended and received by all and although no definitive single answer resolution was found the following items were agreed to be carried out and addressed as the first phase of joint working. It is appreciated that schools are due to disperse for the summer term, however the new intake and return will be addressed through social media, newsletters and direct school contact. Alternative suggestions were made during this meeting which included a new road and parking, use of the land at Reids Piece owned by the Parish Council, closing The Peak and associated roads during school times and all these were considered unfeasible at this point in time and to try the above options first. A review meeting will be arranged with the above parties once the actions are carried out and the feedback received. The clear message from all parties was that if you live in the Village please walk your children to school wherever possible and if you have to park, please use the designated areas of safe parking. 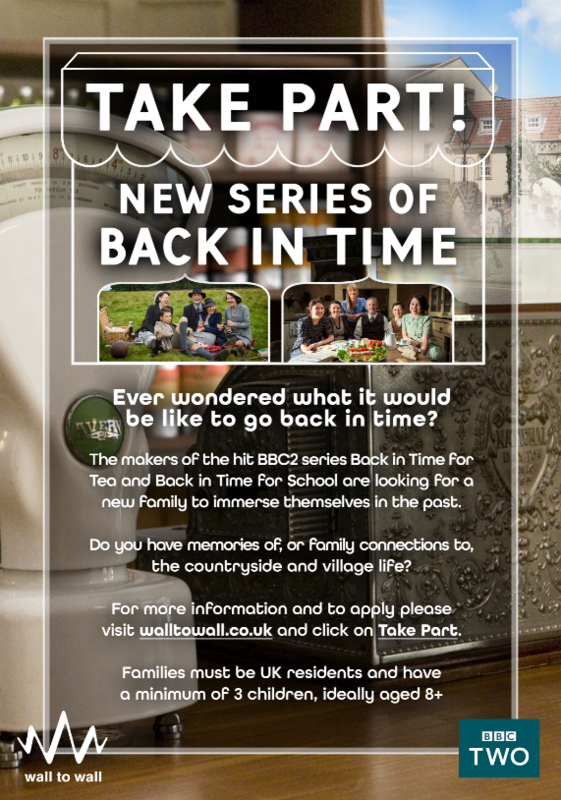 Click this link ocm.wiltshire.gov.uk/rwb/ for the latest Royal Wootton Bassett & Cricklade Community area news. The Council were successful in securing a grant of 50% towards the installation of CCTV at the Village Centre on Church Street (2017/18). Due to anti social behaviour, damage and noise the only course of action open was to install CCTV to aid the efforts of the police, council and residents in keeping this area for the use it was intended; a safe open space for all the community. Thank you to the RWB&C Area Board for supporting this initiative. 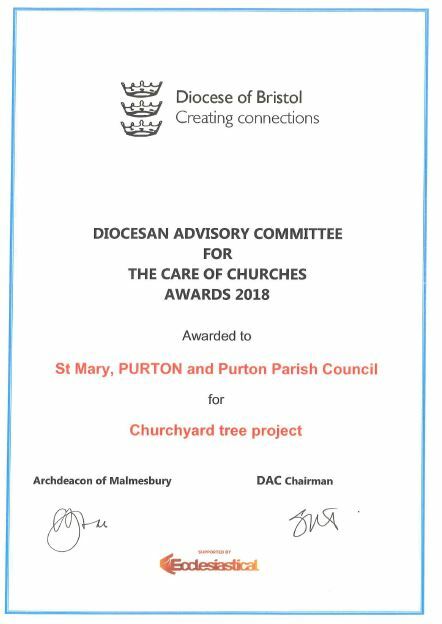 Purton Parish Council and St Marys Church were awarded a "Care of Churches Award 2018" for joint working and engagement on a tree project within the Churchyard from the Diocese of Bristol. From the 30 July 2018 the materials that people can recycle at home from the kerbside is changing. 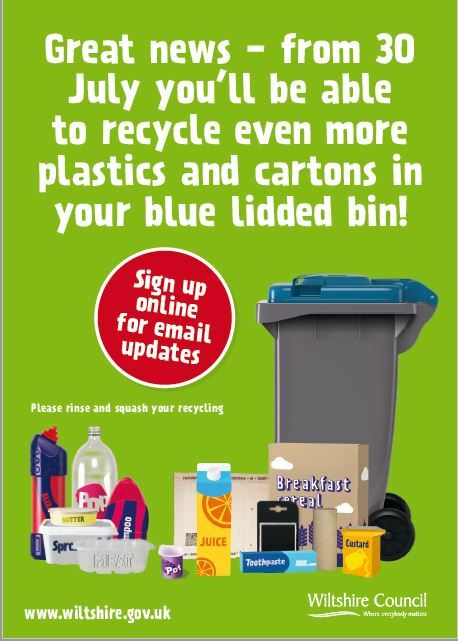 In addition to cardboard and plastic bottles, people will be able to recycle food and drink cartons, plastic pots, tubs and trays in their blue lidded bin. The Trustees of Purton Institute and Village Hall, Purton War Memorial and Village Centre and Play Close Charities, have agreed to review all their services to ensure the longevity and continuing sustainability of the three charities. This will involve a12-18 month project which will include a review of usage including hire figures, prices and services; review of service providers and costings; staffing; lease agreements and tenancies this is to ensure that the charity is not reliant on grant donations from the Parish Council and becomes, in the main part, self-sufficient. Currently the Parish Council donates funds to the Charities each year to ensure their continued existence, however, as more and more services are levied on the Council from Central Government budget cuts, their funding strategy and fiscal policies will also need to be re-assessed to ensure they are providing the necessary services and best value they can to all residents. In the coming months questionnaires and polls will be generated through as many media outlets as possible with a view to gaining insight into why our facilities are not utilised and what the view of residents are. This may mean perhaps a public meeting where parishioners can air their views and promote new ideas. Please be assured that the charities are not in any way financially destitute however at the point of writing, this is only maintained by support through donations from the Parish Council, not through usage of the facilities themselves, the published accounts whilst accurate, are not a true reflection as they include Parish Council Grants, a more definitive answer is shown in the management accounts. As any person, organisation or corporate body will appreciate, donations cannot form the best part of a viable substantive service as eventually this will cease. We have to source, change and realise other ways in which to promote, use and maintain these wonderful facilities. This action has been taken in advance of critical problems to streamline the charities, ensure their long term future and offer the best facilities to the Parish whilst being financially self-sufficient. The decline needs to be addressed now before the situation deteriorates further which is why this has been highlighted and this process started. Regular updates will be given wherever possible. 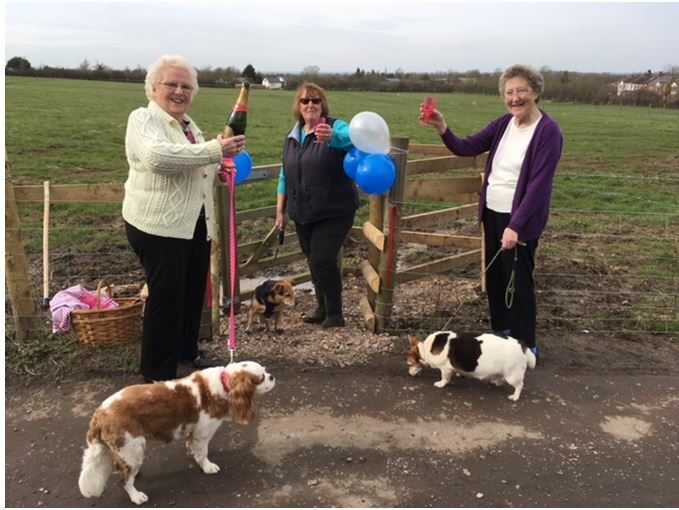 Residents of Purton were celebrating the installation of a new Kissing Gate on Vasterne Hill. The replacement of a stile with the Kissing gate will make Footpath 49 accessible for all. Thank you to Steve & Nikki Webb for sponsoring the Kissing Gate in memory of Cally and to our Footpath Team for the Installation. CLICK HERE for the latest changes to Bus Service 53 linking Lydiard Millicent, Purton & Cricklade with Swindon from 10th April 2018. Purton Parish Council are pleased to announce that they have secured the purchase of land known as “Long Ground”, Church End, Purton for potential burial purposes. The land will be asseseed in the coming months to ascertain its suitabiliyt for future burials. The Land, regardless of use, will be an asset to the village with secured open space for years to come. Purton Parish Council successfully secured funding from the Royal Wootton Bassett and Cricklade Area Board, and Section 106 for the above project. 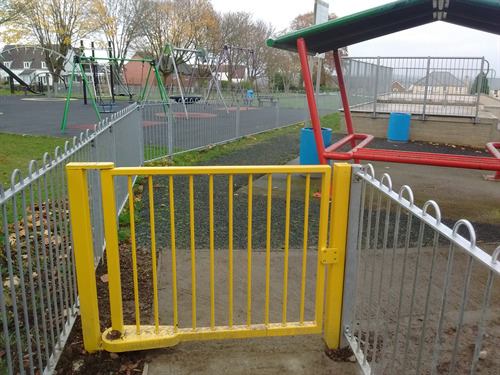 Purton Parish Council is delighted that the youth shelter at the Village Centre recreation ground now has a safe access and safety gate forming a barrier to prevent children and young people running, cycling and scooting straight into the path of passing vehicles entering and leaving the Centre. Grateful thanks to the Royal Wootton Bassett and Cricklade Area Board team, Section 106 co-ordinators, and all working on the project. Come and see the newly installed information board at The Dingle in Purton. The Dingle is a public open space area accessed along the track to Purton Cricket Club at Church End. This new board provides visitor information including some history of the area and a map. 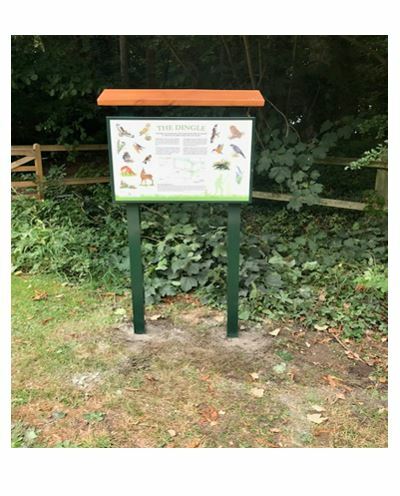 This project was made possible by Community Grant Funding from the Royal Wootton Bassett & Cricklade Area Board. Your bookable shared taxi service. For more information CLICK HERE. CLICK HERE to see the briefing note. AVAILABLE FROM SEPTEMBER 2016 – if you wish to report a power cut you can ring 105 which will take you direct to the relevant supplier for an update and to report. Wiltshire CIL is an organisation which offers support and guidance to those in receipt of a Direct Payment (those needing support/care in their own home who receive money from Wiltshire Council Social Services to employ their own staff). Part of our service is to provide an online facility for employers to find their staff (known as Personal Assistants or PAs). The facility is called a PA Register. We have recently launched a brand new PA Register website and would like to reach out to both PAs and employers so that they can register themselves with the hope of finding a suitable employer/employee match if necessary. Those needing support in their own homes who live in rural communities can often find recruitment a challenge. 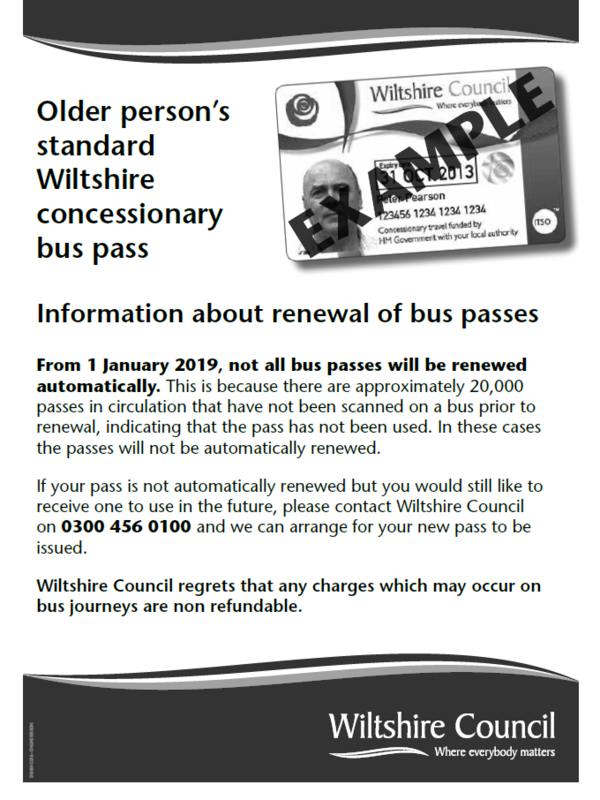 Therefore, we were hoping that you would place the attached poster on your Parish Council display board within your local community to publicise this free online facility.If you have any questions or queries regarding this please do not hesitate to contact me either by phone – 0300 1233 442 or by email lucie@wiltshirecil.org.uk . Click Here for more information. Livestock electrical tape – owners of livestock sometimes place white electrical tape along the boundary of their property to ensure animals don’t get out. Please note that this electrical tape can be dangerous to people with heart pacemakers if they get too close to the tape when out walking. If such tape is found on public footpaths, or anywhere else where it could cause a danger please report the exact location to the Parish Council. If your Black Box needs replacing or if the lid has been damaged please call 0845 6032085 for a replacement. Delivery time for a new Black Box to be delivered is up to 2 weeks. 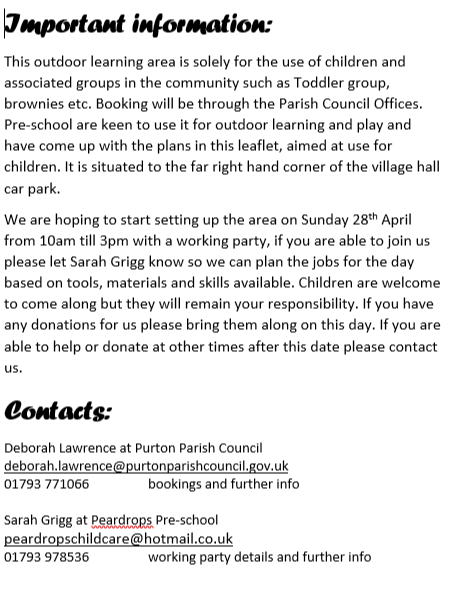 PURTON PARISH COUNCIL DONATION PROGRAMME. The Parish Council makes small grant awards twice a year to support local clubs and organisations which provide services that help residents in the Parish of Purton. Applications are considered twice yearly, February and June. If you are involved with a group that could do more for local people with the help of an award from The Parish Council , please contact The Parish Clerk for an application form or CLICK HERE to download a form. With the advent of autumn we will inevitably see wetter weather and a greater risk of flooding. Wiltshire Council is reassuring residents it is doing all it can to be ready for any adverse weather. The Council has doubled from three to six, the number of gully tankers emptying road gullies, empting all the gullies on the A roads at least once by the end of December, and all the B.C and unclassified gullies being emptied by the end of March 2015. Wiltshire Council will continue to empty road gullies following heavy down pours when gullies get blocked by soil and detritus washed into the systems from adjacent fields. The Council understands the damage and distress caused by flooding and works with the local communities through the Operational Working Groups on improving drainage and on flood alleviation schemes. Whilst the Council does do all it can to alleviate flooding we do encourage residents to look at their properties with a view to considering large volumes of water impacts. This would include ensuring private gullies are clear and empty, that water flow systems are not obstructed and being prepared for flood prevention, such as having sandbags ready. If residents thinks a gully is blocked superficially, with leaves or grass, they can with care on highway, clear it themsleves. If a blockage is not easy to clear it can be reported to Wiltshire Council by telephone on 0300 456 0105 or on line at www.wiltshire.gov.uk/mywilts or using MyWilts app on a smart phone, where you will receive updates. The CSW or Community Speed Watch began monitoring traffic along The Fox. More and more traffic now use The Fox as a through route from Purton into Swindon, and with this has come a noticeable increase in speed. The role of the CSW is to monitor traffic and report any speeding vehicles to the police who will then take appropriate action. On average there were over 118 vehicles per hour, of these 5.5% were travelling at a speed in excess of 36mph with the fastest travelling over 45mph. Over 13% were travelling between 31mph and 35mph. This means that nearly 1 vehicle in 5 was technically speeding. The role of the CSW is not to be vigilante but by our presence slow traffic down. 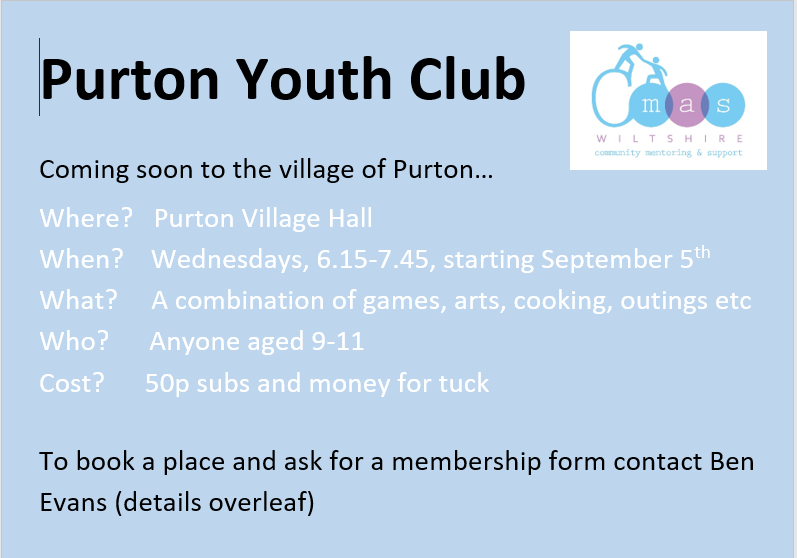 If you would like to volunteer please telephone 01793 771066 or email deborah.lawrence@purtonparishcouncil.gov.uk. Cyber bullying is one of those modern day risks affecting young people - a kind of electronic bullying. This website provides some support and guidance to help parents and families deal with this type of bullying. Click Here to see website. The Parish Council do not have any allotments they are run privately. 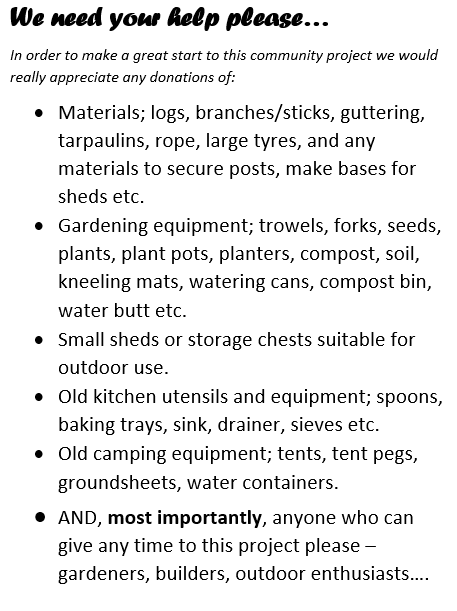 For Stoney Upper Pavenhill Allotments please contact Patrick Blake-Kerry on 0791861992. For Pavenhill Allotments Jill Winston on 772898. Have you tried using the Community Phone Box that stands outside Purton Library? In the last six months over 180 calls were made from it (an average of one per day), and it was used 500 times for the internet. The phone box can be used to make free local phone calls, and to view information on the screen about the community with details of events going on or useful information. You can access the internet within 100 metres of the phone box and this will be listed on your device as Purton WIFI. One phone call per day? Come on, I’m sure the community can make more use than this of the facility. Prescription drug abuse causes the largest percentage of deaths from drug overdosing (over 22,000 a year). Part of the mission of DrugDangers is to spread awareness about drug abuse of prescription drugs. Their website offers free information of a range of drugs and medical products that can cause serious addiction, injury, or even death. Click here to see website. REPORTING OF ODOUR FROM THE HILLS RECYCLING CENTRE. If you experience any unpleasant odour that you do not recognise and you think that it may be coming from Hills Waste Solutions along Mopes Lane, please contact Hills on 01793 714450 immediately, so that they can investigate and rectify the problem. VULNERABLE ADULTS IN THE COMMUNITY. Please see the following guides to follow if you find yourself, friend or neighbour in an emergency situation. Community Emergency, Householders Emergency, and Emergency Guide. For more information about the trust click here.